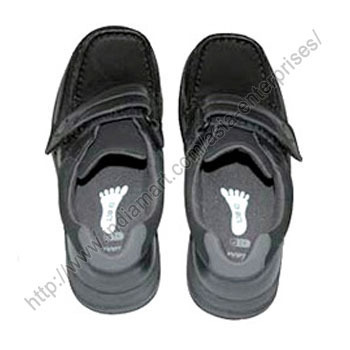 Our company is engaged in offering shoes labels, which are highly in demand for use in shoes for labeling. These adhesive shoes labels are available in various sizes, shapes, colors and thickness to meet the varied requirements and specifications of our customers. The adhesive shoes labels offered by us are developed with special adhesives for hard to stick surfaces. "All Samples are for reference only, not available for sale. They are the property of their respective owners"
Established in the year 2001, with an experience of 12 years, we have gained immense domain expertise in offering garment accessories and designer apparel accessories. We offer labels, PVC key chains, buttons, seal tags, reflective trims and felt stickers. Apart from this, we also offer zip pullers, jacket accessories and garment accessories. Our range is manufactured using quality raw material and caters to the requirements of bags, jackets, trousers, safety shoes and saddlery & horse rugs. Our company endeavor to achieve complete client satisfaction, for this we provide customization in terms of shape, size and material. Backed by our well developed infrastructure unit and professional & experienced team, we have been able to cater to bulk orders of our clients. Further, our range undergoes through stringent checks such as lock strength, tensile strength and color fastness so that only the defect free final product reaches to our clients. Owing to our well defined business principles, we gained a long list of satisfied clients all across the country.